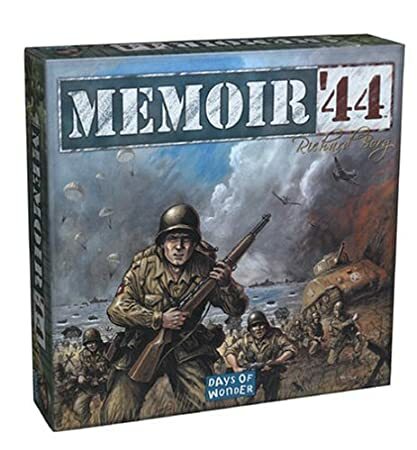 "Memoir '44 is a historical boardgame where players face-off in stylized battles of some of the most famous historic battles of World War II including Omaha Beach, Pegasus Bridge, Operation Cobra and the Ardennes. The Memoir '44 series consists of the base game and a number of expansions." 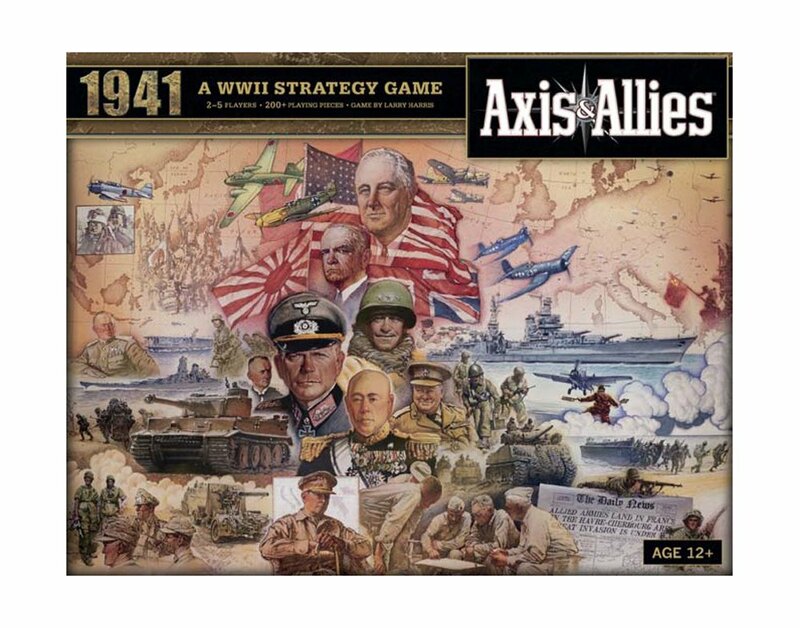 "Axis and Allies is the most successful of Milton Bradley's Gamemaster series. It depicts WWII on a grand scale, full global level. Up to five players can play on two different teams. The Axis which has Germany and Japan, and the Allies which has the USA, the United Kingdom, and the USSR. A full map of the world is provided, broken up in various chunks similar to Risk. The game comes with gobs of plastic miniatures that represent various military units during WWII. Players have at their disposal infantry, armor, fighters, bombers, battleships, aircraft carriers, submarines, troop transports, anti-air guns, and factories. All of the units perform differently and many have special functions. Players have to work together with their teammates in order to coordinate offenses and decide how best to utilize their production points. Players also have the option of risking production resources on the possibility of developing a super technology that might turn the tide of war." "The time is summer 1944. The Sun shines on Normandie hedgerows. Gentle wind, fields of bright flowers, and in the background, the romantic staccato of machine gun fire in the morning. In these typical French countryside landscapes, thousands of men are about to fight. And die. Bravely like heroes, or cowardly like wussies. But only heroes really matter. Those you see in Hollywood Golden Age war movies. Here lies the inspiration for Heroes of Normandie; here is what the game has to offer: explosive and fast-paced battles; the pleasure of butchering your enemies through MG42 walls of lead; and the ability to crush Nazi bastards under tons of shells – basically, blood and guts. 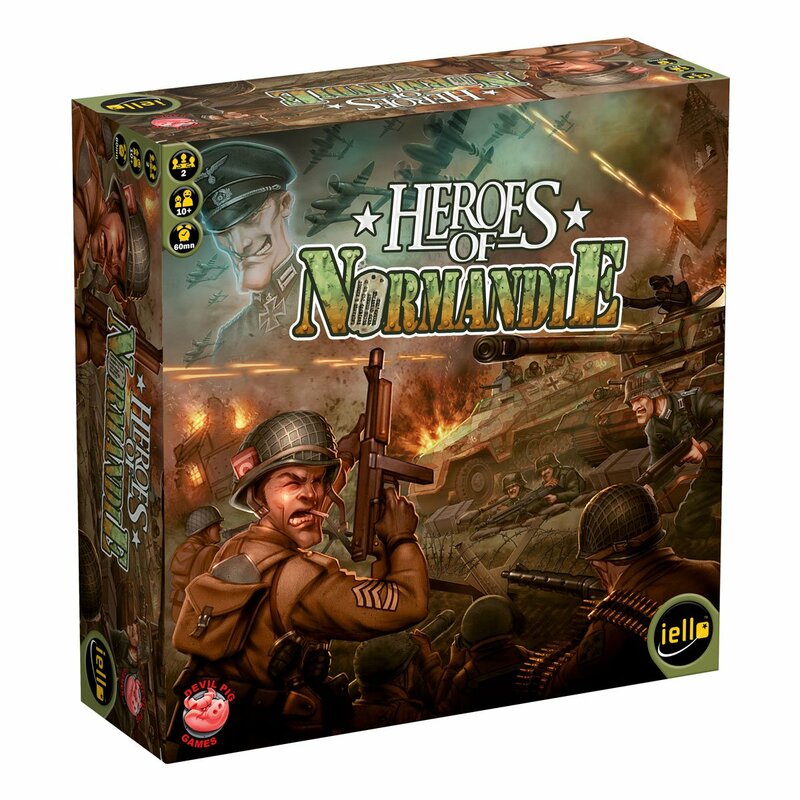 A miniatures game without miniatures, Heroes of Normandie is a fast-paced WW2 strategy wargame inspired by Hollywood war movies. A tactical scale board-game opposing two players and two armies, with the Germans on one side and the Americans on the other. Players use order tokens to determine initiative and to bluff. While a single six-sided die determines combat, action cards are played to spice things up. Secretly plan your attacks and outwit your opponent. Block the opposing strategy and surprise the enemies. Deploy your units and don't turn back!" "Volume IV in GMT’s COIN Series dives headlong into the momentous and complex battle for South Vietnam. 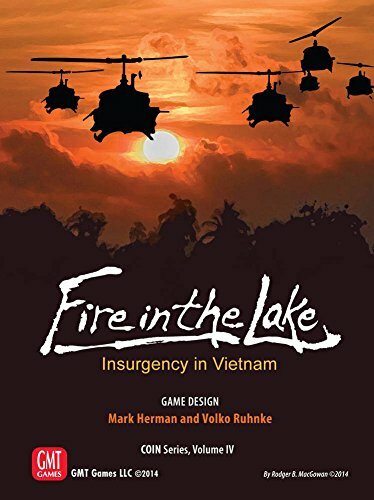 A unique multi-faction treatment of the Vietnam War, Fire in the Lake will take 1 to 4 players on US heliborne sweeps of the jungle and Communist infiltration of the South, and into inter-allied conferences, Saigon politics, interdiction of the Ho Chi Minh Trail, air defense of Northern infrastructure, graduated escalation, and media war. Renowned designer and modern warfare expert Mark Herman joins COIN Series creator Volko Ruhnke for a collaborative production not to be missed. Fire in the Lake features the same card-assisted counterinsurgency game system as GMT's Andean Abyss, Cuba Libre, and A Distant Plain, with a pack of twists that take the Series to another level." 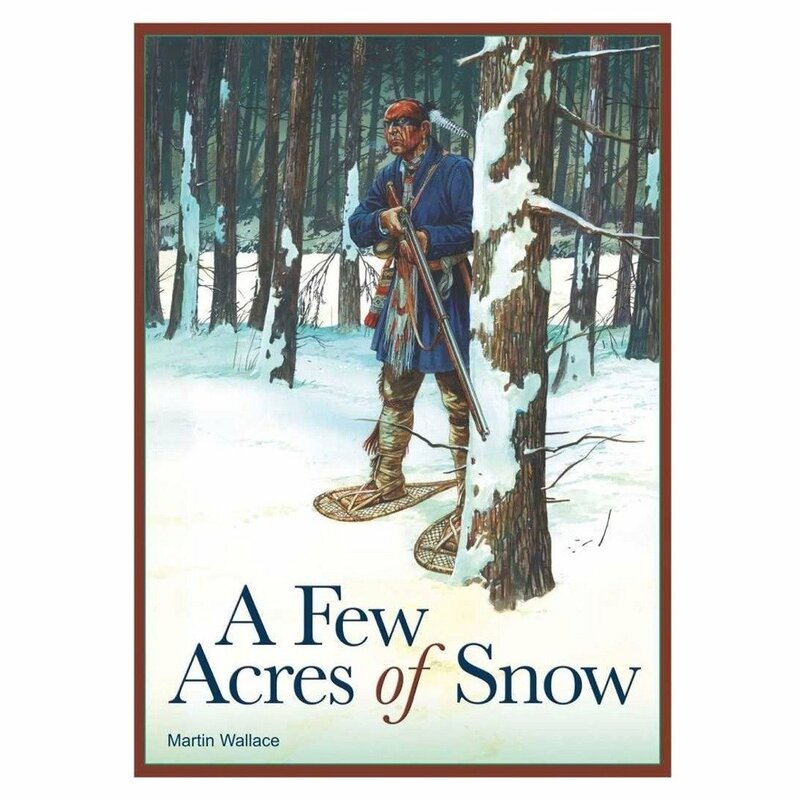 "A Few Acres of Snow is a two-player, card-driven game about the French and British conflict in North America. The game is about more than just fighting – you must successfully colonize the land to have a chance." 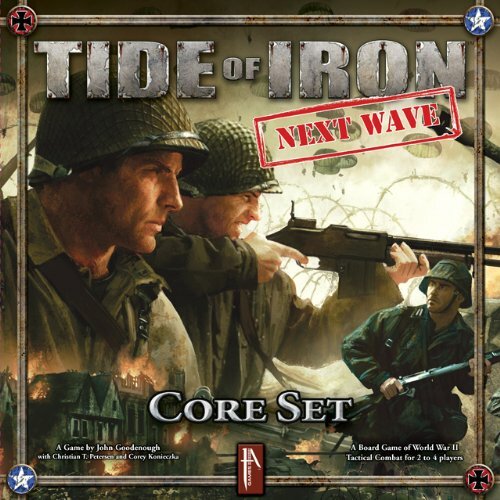 "Tide of Iron is a game of World War II tactical conflict for two to four players. The components in this base game allow players to simulate the dramatic struggle that took place between American and German forces in Northern Europe during the years 1944 and 1945. The twelve double-sided map tiles, plus the dozens of included terrain hexes, allow for limitless potential combinations, and each scenario can be enhanced by special rules, objective markers, troop allotments, and other variations. The only limiting factor is your imagination!" "Wings of War is a game series which merges card and board game mechanics to recreate aerial combat. The first series of Wings of War games focus on the "knights of the air" age, World War I, portraying the abilities of the fighting planes of this period. 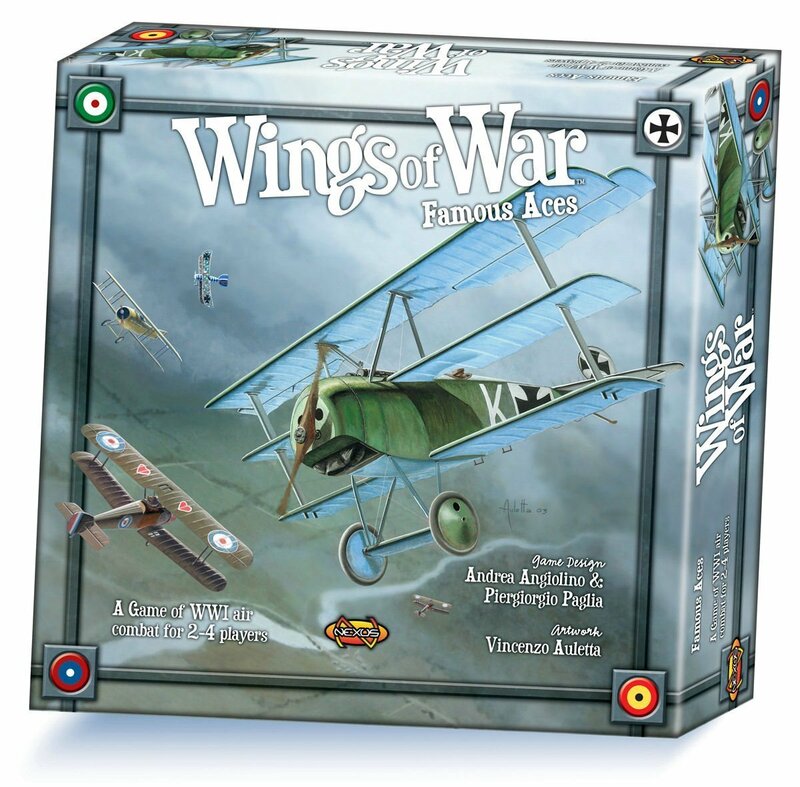 Each Wings of War set is a complete game for 2 to 4 players which may be combined with additional sets, or with other copies of the same set, to play larger games. For that purpose, 23 planes with different colors are included in each box. Each one is depicted after accurate historical documentation."